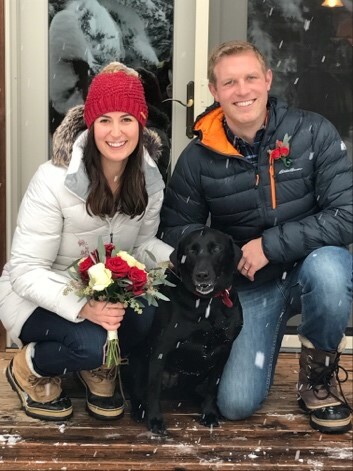 Dr. Mooseau was born and raised in Sun Valley Idaho, he graduated from Boise State with a BS in Health Science in 2011. He then attended Palmer College of Chiropractic West in San Jose California which is well known for its sports chiropractic program. He was an active member of the Sports Council where he worked with athletes, and he became well versed in the treatment of injuries resulting from marathons, long distance cycling races, rugby games and more. Dr. Mooseau practices evidence-based chiropractic utilizing a variety of techniques that are individualized at a for each patients needs. His treatment plans often include: chiropractic adjustments, ART, instrument assisted soft tissue mobilization (IASTM), specific active rehab exercises, and more. He believes patient education plays a vital role in the treatment and recovery process. He strives to find what motivates each patient to obtain their optimal health. Dr. Mooseau currently lives in Boise with his wife Sarah, and their black lab Nokona. They moved from California to Idaho to enjoy the amazing outdoor life style that Idaho has to offer. He is an avid alpine skier, fly fisherman, hunter, and outdoor enthusiast.